While your gut health is incredibly important, the same goes for your pets. Your pet's digestive tract can be affected by some of the same factors as your own, including bad diet and even antibiotic use. 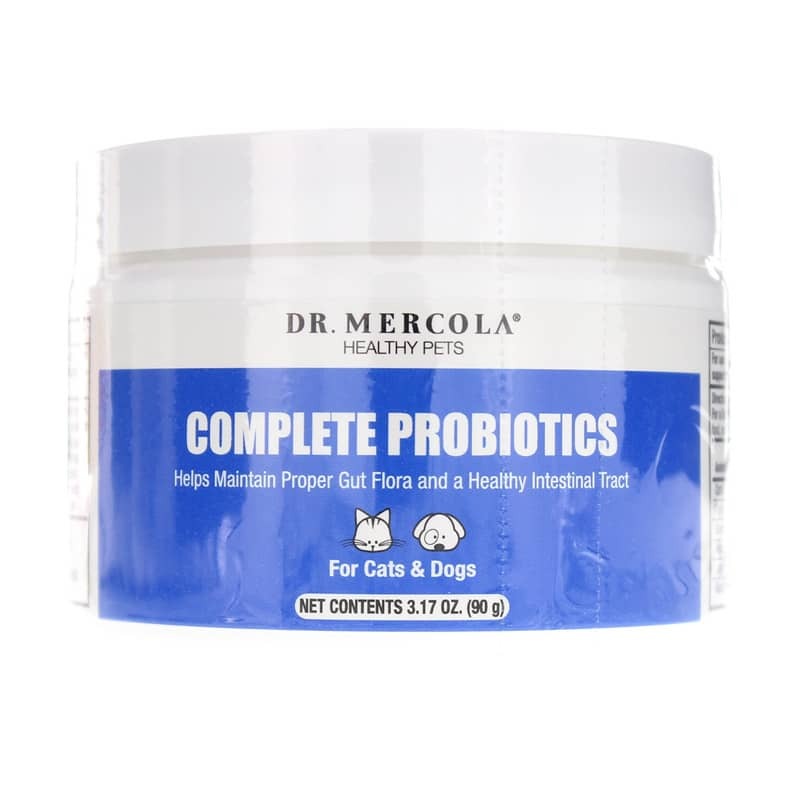 Help your cat or dog maintain optimal gut health with Dr. Mercola's Complete Probiotics for Pets. Dr. Mercola's Complete Probiotics is formulated with a unique blend of 14 of the most beneficial bacteria strains that provides support for optimal digestive health in your cats and dogs. Keep your pets as healthy as you keep yourself. Choose Complete Probiotics for Pets from Dr. Mercola to support optimal digestive health in your pets. Give it a try today! 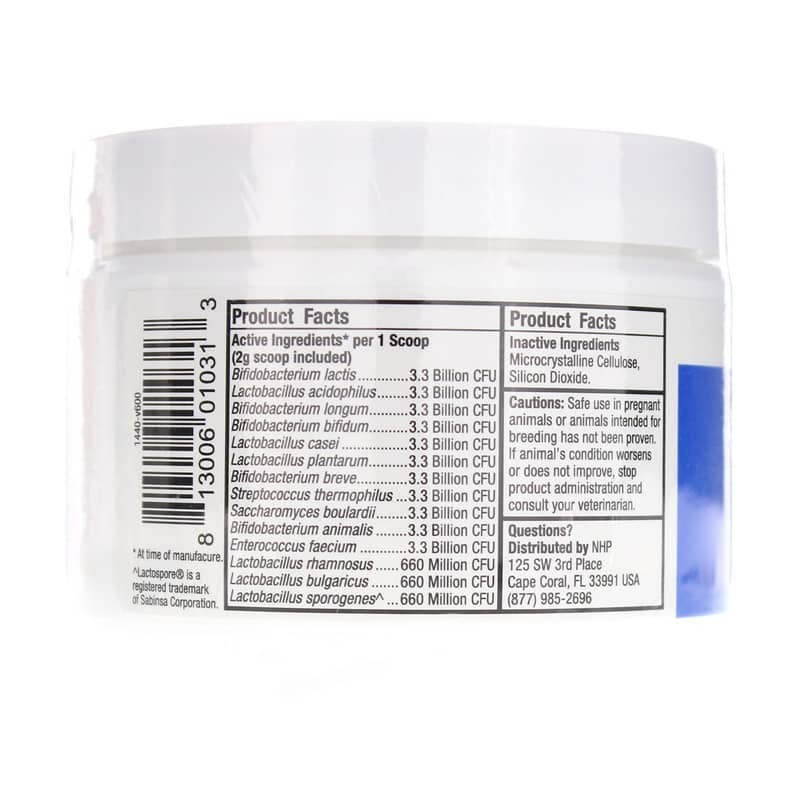 Therapeutic dose: 4 grams daily (2 scoops). I have 6 young cats. I started them on complete probiotics and within a few days their stool firmed up nicely. I use dr. Mercola probiotics for my pets and it works fantastically! I have written to Mercola regarding this product. I have asked for sourcing information, where their ingredients come from. To ensure that my family member is not getting anything from China. My dog is a family member and I choose his food wisely. This is not a Company I would do business with. Their response to me was as such, as I have copied and pasted it here for everyone to read. I received 2 e-mails from them.<br><br>Thank you for writing to Mercola.com. Here is the response to your Mercola inquiry.<br><br>The Complete Probiotics for Pets is manufactured within the US. We will inquire with our Product Development Team on each ingredients sourcing and can contact back via email as soon as we receive a response. Please let us know if there are any further questions. <br><br>Inquiry History:<br>7/7/2017 12:00:00 AM 23:18:55 : You said : I am interested in your probiotic powder for dogs. I would like to know where the ingredients are sourced from and where it is made. 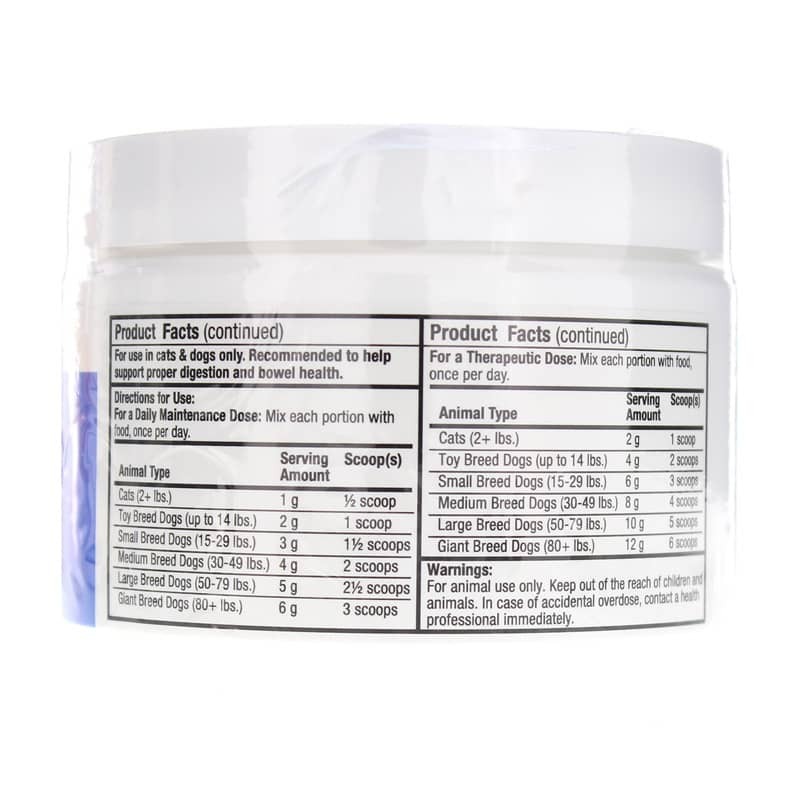 Thank you<br><br>Hello from Mercola customer service,<br> <br>I have received a response in regards to the sourcing of ingredients in the Pet Probiotics. Our team has told me this information cannot be provided, as it is proprietary.<br> <br>Please let us know if there are any other questions!